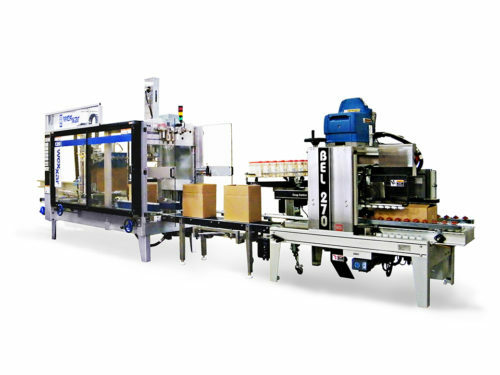 The WFPS 3290 combines the WF30 Fully Automatic Case Former with the BEL 290 Pressure Sensitive Tape Case Sealer, providing customers with a fully automatic solution for forming, packing and tape sealing to satisfy the demands of around-the-clock industrial applications. 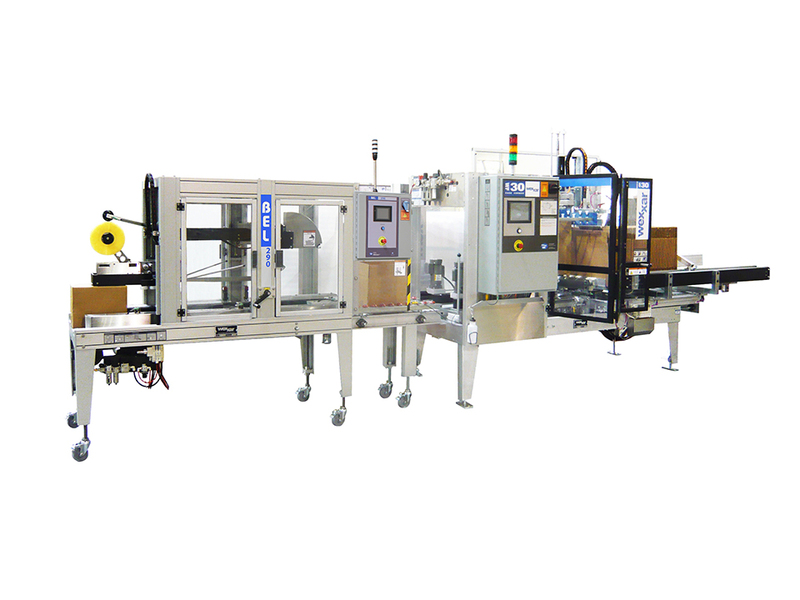 It comes complete with a loading and accumulation section for an all in one solution for the hand pack line. 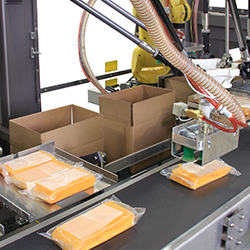 The WFPS 3290 forms cases automatically using the patented Pin & Dome system, which responds to variations in corrugated quality and ensures accurate case forming and squaring. 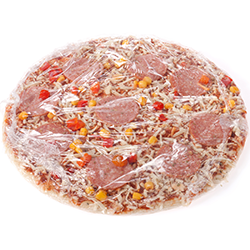 Wexxar's trademark color-coded tactile guide and easy tools-free adjustments make setup and changeovers quick and easy. 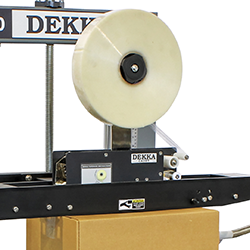 Equipped with a fully automatic pressure sensitive tape case sealer, the WFPS 3290 produces gap-free, tightly butted top flap sealing. 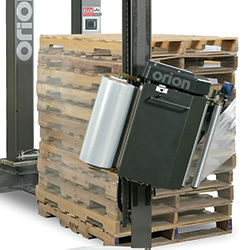 It accommodates a wide range of case sizes and the heavy-duty drive system ensures cases retain their shape and alignment in every application. 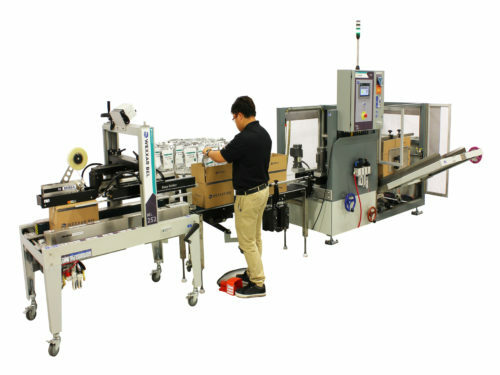 The WFPS 2270 fully automatic machine forms, packs, and seals with glue for a complete solution.